Click on the appropriate tab below to see the Renewal Requirements, Process, Fees and Continuing Medical Education (CME) for a Medical Doctor in Areas of Critical Need/ Rear Admiral LeRoy Collins, Jr. (Compensated). Verification of Employment Letter from an approved area of critical need facility (list of approved facilities). Login to verify your practitioner profile. Login to Complete Physicians Workforce Survey. 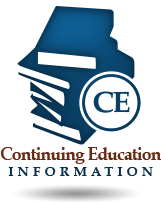 Confirmation of required continuing education hours reported into the continuing education tracking system, CE Broker. To ensure you receive notification from the department regarding the renewal, you must have on file with the department your current mailing address. Failure to renew an active or inactive license by the expiration date will result in the license being placed in delinquent status. Failure by a delinquent licensee to become active before the expiration of the current licensure cycle renders the license null and void without any further action by the board or the department. Licensees requesting to reactivate their license from inactive or retired status are required to pay additional fees and comply with specific continuing education requirements. Please contact the board office at info@flboardofmedicine.gov to request your reactivation requirements. If you are currently registered to dispense medicinal drugs to your patients, you are required to renew your registration at the same time you are renewing your medical license. If you are no longer interested in dispensing medicinal drugs, you can cancel your registration by checking the appropriate box on the renewal application. If you are not currently registered to dispense medicinal drugs and would like to register, you can complete the registration process at the time you are renewing your license by checking the appropriate box on the renewal application and paying the dispensing registration fee. The registration fee will be in addition to your renewal fee. 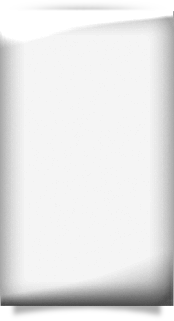 If you are a member of the Armed Forces of the United States on active duty who was in good standing with the board at the time of becoming active and was entitled to practice or engage in the practice of medicine in Florida, you may be eligible to be exempted from renewal requirements for the duration of active duty, and for a period of six months after discharge, but not practicing the profession in the private sector for profit. If you are the spouse of a member of the Armed Forces of the United States, you may be eligible to be exempted from licensure renewal requirements, but only in cases of absence from the state because your spouses’ duties with the Armed Forces. If you volunteer 160 hours of medical services to the indigent residents of Florida with incomes at or below 200% of the Federal Poverty Level during the previous biennium, you may be eligible for a waiver of your biennial renewal fee and some of the continuing education hours (no more than 25%) required for license renewal; however, the continuing education requirements for domestic violence, HIV and AIDS, and medical errors cannot be waived. A renewal fee of $250 for each year your license was continued and extended since the last otherwise regularly scheduled biennial renewal year and each year during which the renewed license shall be effective until the next regularly scheduled biennial renewal date. Documentation of completing 10 hours of continuing medical education credits for each year from the effective date of your last renewed license until the year in which you apply for renewal. Compliance with practitioner profile requirements in s. 456.031(1)(a)1-8 and (b), and (4)(a), (b), and (c). As a medical doctor with an Area of Critical Need license, also known as the Rear Admiral LeRoy Collins, Jr. license, you will be required to RENEW BY MAIL. Your license will expire at midnight, Eastern Time, January 31st of each even year. At least 90 days before your license expires, the department will mail you a renewal application to your last known address of record. You will have until midnight on the day your license expires to renew. Failure to renew an active license by the expiration date will result in the license being placed in delinquent status. Failure by a delinquent licensee to renew active or inactive before the expiration of the current licensure cycle renders the license null and void without any further action by the board or the department. Failure to renew your license by the expiration date will result in the license being placed in delinquent status and a delinquent fee will be assessed in addition to the renewal fees. Failure by a delinquent licensee to become active before the expiration of the current licensure cycle renders the license null and void without any further action by the board or the department. If you are currently registered to dispense medicinal drugs, you can renew your registration by paying the registration fee when you renew your medical license. If you are no longer interested in dispensing medicinal drugs, you can cancel your registration by checking the appropriate box on the renewal application. To receive an exemption from the renewal requirements, please provide a copy of your orders which provides the beginning and end date of your current enlistment or a copy of your spouse’s orders. If you are a Commissioned Officer, you may provide a letter from your commanding officer that reflects the length of your contract with a beginning and end date to fulfill this requirement. Online renewal is not available at this time for practitioners requesting this exemption. To receive an exemption from the biennial renewal fee and some of the continuing education hours (no more than 25%), you will be required to submit a letter certifying the total number of uncompensated health care service hours volunteered during the renewal cycle along with your renewal application. No action is needed; however, at any time during your legislative term of office and during the period of 60 days after your term ends, you may file a completed renewal application as described under the renewal requirements tab. Any one of these will be accepted unless the department has a question about the authenticity of the document. A social security card is not considered legal documentation. Please Note: The last four digits of the SSN are requested as required by DOH Policy Number DOHP 385-LS05-12 Name Changes for Existing Licensees, which was established for security purposes due to past instances of fraudulent activity. * If you are currently registered to dispense medicinal drugs to your patients in the regular course of your practice, you can renew your dispensing registration by paying the additional $100.00 registration fee, along with the appropriate renewal fee indicated above. If you are not currently registered to dispense medicinal drugs and would like to register when you renew your medical license, indicate your request for registration to dispense medicinal drugs by checking the appropriate box on the renewal form and submit a $100.00 registration fee, along with the appropriate renewal fee indicated above. First Biennium Renewal: If you are renewing your license for the first time you are exempt from the general continuing medical education requirements and are only required to complete 2 hours of Medical Error and 1 hour of HIV/AIDS. Medical Error 2 Course MUST include information regarding the 5 most mis-diagnosed conditions, in accordance with Rule 64B8-13.005, F.A.C. 766.1115 Health care providers; creation of agency relationship with governmental contractors.